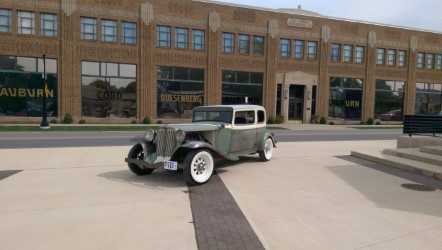 This picture was taken in September 2017 in front of the ACD Museum in Auburn, Indiana. 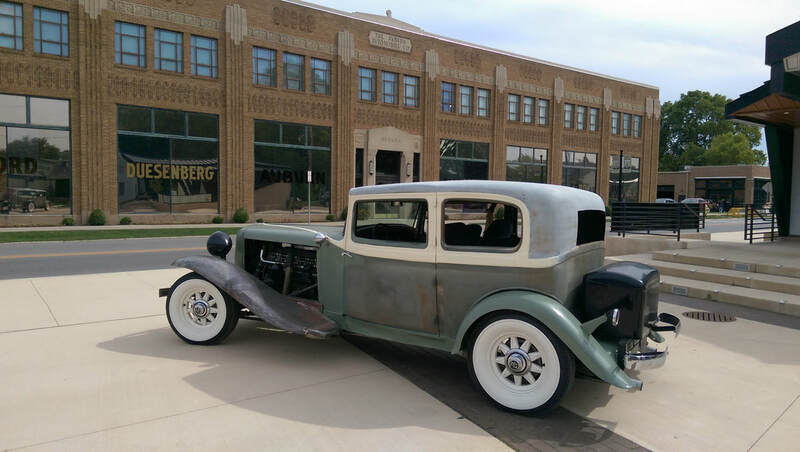 This car was built here in 1932, 86 years ago! ​I am making a few "Updates" here to the site. Thanks for following along! While driving the car this Fall, I noticed a significant loss of oil pressure. (from 30, down to around 7 psi) I removed the Oil Pump, and it seemed to be fine. 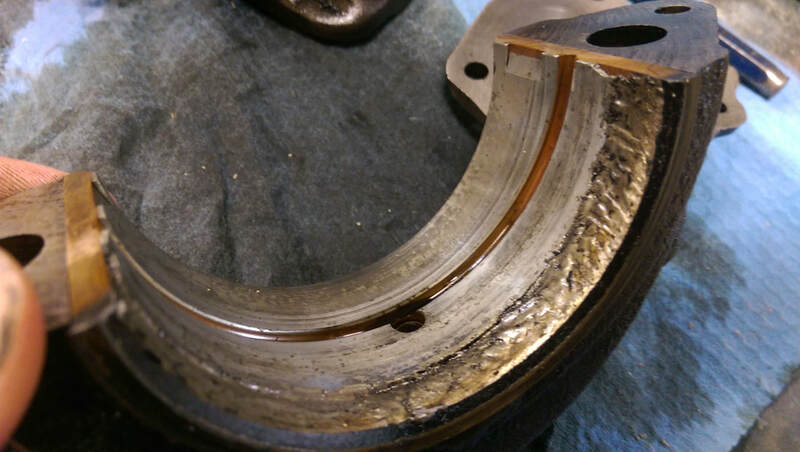 I then started looking at the Main bearings and discovered this damage to the Bearings. 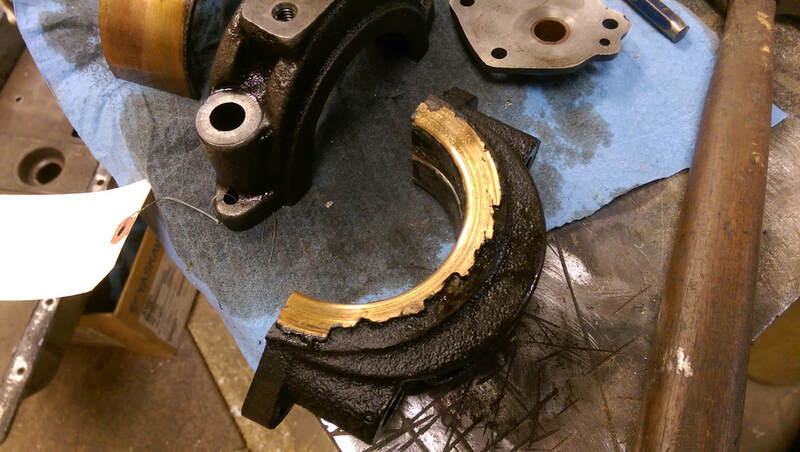 The Crankshaft Journals seem fine (still in the engine at this time) so I am glad that I stopped driving it before having a costly catastrophic failure. There was debris in the Oil pan. 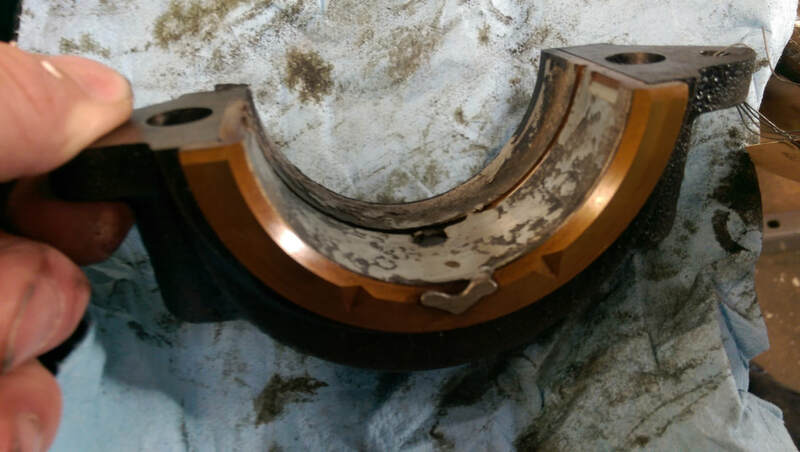 ​The 2nd main bearing with missing material. Close up of missing material. 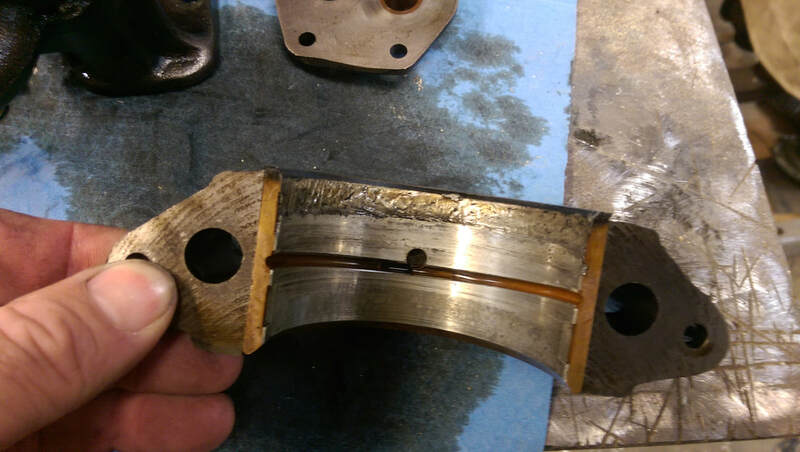 Thrust Bearing with melted Babbit, rehardened in the shape of a heart. 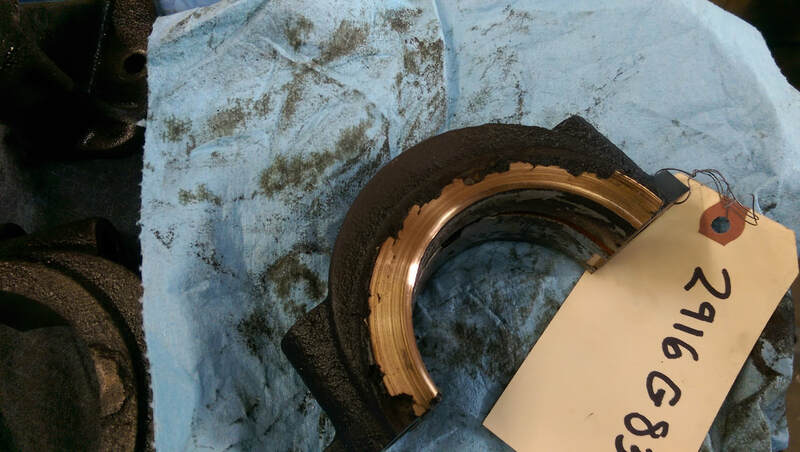 Thrust surface of Bearing is destroyed. 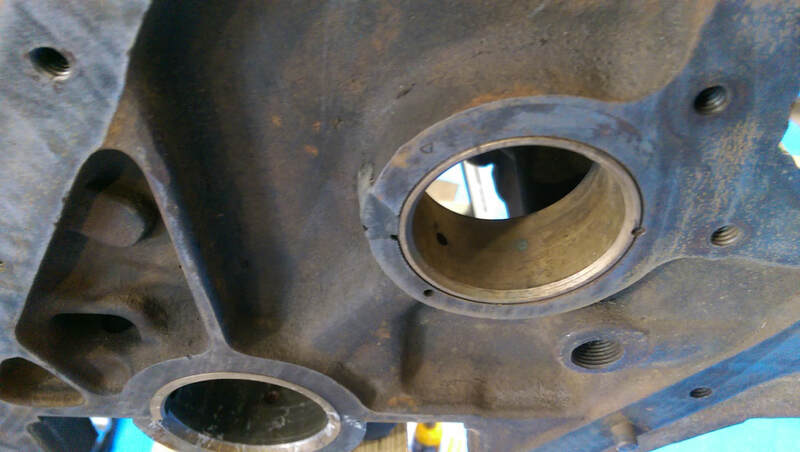 Lack of Lubrication between this and the Crankshaft surface. Lucky for me, I was already working on a spare Engine for another project. This one is now going into the Car. 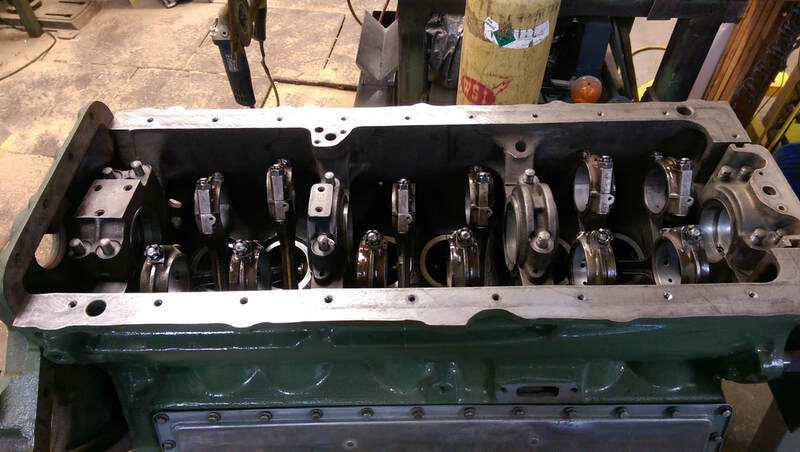 Spare Engine waiting for the Crankshaft. New Bearings and Rings already installed. You already knew that the Pistons go in from the bottom, right? 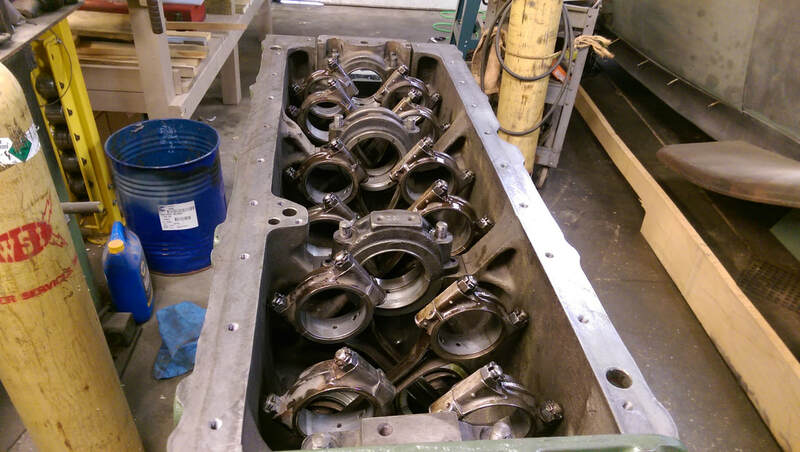 * Crankshaft ready for install. Too heavy for one person to handle. Crank set in place. The Pistons and rods need to be pushed down out of the way for this.